David Allen "Santa" Gibson, Sr., age 83, of North Royalton, Ohio, and longtime resident of Berea, Ohio; beloved husband of the late Anne Elizabeth Gibson (nee Gainey) who passed away in May 2008, and longtime partner of Patricia Stang of North Royalton; loving father of David A. Gibson, Jr. (Mary Ann), Daniel Gibson (Patty), and Julie Nelson (Scott); dear grandfather of 6 and great-grandfather of 2; cherished brother of Ruby Snyder (Robert, deceased), and the late Charles "Chuck" Gibson, David was born in Middlebranch, Ohio and graduated from Middlebranch High School. David was quite proud after having achieved the rank of Eagle Scout as a young man. He was retired after having worked for many years for Capital Airlines and United Airlines in Canton and in Cleveland. 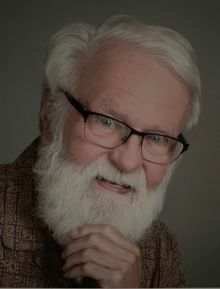 David was a longtime, well known "Santa Claus" and had a great passion for sharing the joy and spirit of Christmas with school children and nursing home residents. Everywhere he went, David always had a pocketful of candy canes to share with people of all ages. David served as President of the Berea High School Boosters, and was a frequent, generous blood and platelets donor. David attended North Royalton Christian Church and will be dearly missed by his Church family. David will be remembered and his life celebrated on Sunday, March 10, 2019 at 10:00 A.M. at North Royalton Christian Church, 5100 Royalton Road, North Royalton, Ohio 44133. Cremation by Busch Crematory. Although flowers are appreciated, the family suggests memorial contributions be forwarded to the Hospice of the Western Reserve, P.O. Box 72101, Cleveland, Ohio 44192 or please visit www.hospicewr.org, or to North Royalton Christian Church.